Sarah Stille, with written contributions from Ginnie Copsey, Rod Gritten, Andy Jones, Jacky Langton, Wendy McCarthy and Polly Spencer-Vellacott - and thanks of course to all the people who came and helped with recording. This “Residential” was a completely new venture for Merioneth, VC48, and an attempt at some concentrated recording at tetrad level or better for the next Atlas. We were lucky enough to find Caerdeon, a former “gentleman’s residence” near Barmouth, where Darwin once stayed, but which is now a Field Study Centre. Here we found a friendly welcome, good food and basic but very adequate accommodation for our stay. On a glorious, sunny day, most people wound their way to the house through the trees in time to leave luggage and go straight out into the field. 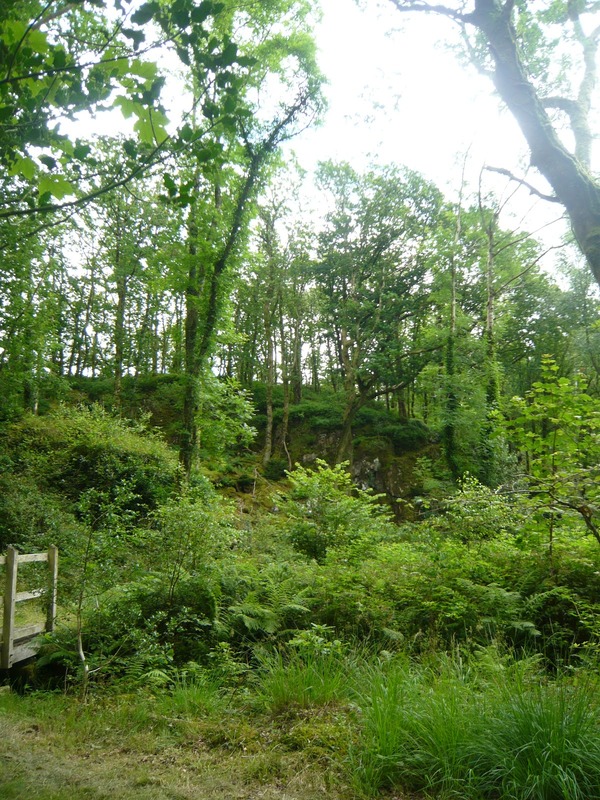 Polly Spencer-Vellacott and Jacky Langton went to Coed Cors y Gedol, a broad-leaved woodland SSSI. Two monads were recorded in adjoining hectads in the wood and also in the lanes and farmland for a bit of habitat variety. The Atlantic oak woodland was not exceptionally species-rich but included lovely displays of Melampyrum pratense (Common Cow-wheat) sometimes in association with Erica cinerea, (Bell Heather) - a great colour combination - and Equisetum telmateia, (Great Horsetail) was a good update. A larger group went to Fairbourne Spit where Isobelle Griffith (CCW) and other non-residents joined them. In spite of so many sharp-eyed spotters they failed to find the target species, Hypochaeris glabra (Smooth Cat’s-ear) which is perhaps now extinct in the vice-county. However, a good list of sand-loving species was recorded including Trifolium scabrum (Rough Clover), Calystegia soldanella (Sea Bindweed) and Leontodon saxatilis (Lesser Hawkbit). The group then drove on to Llwyngwril to botanise the beach and village environs, with many garden escapes and established aliens such as Buddleja davidii (Butterfly-bush), Clematis vitalba (Traveller’s-joy) and Pentaglottis sempervirens (Green Alkanet). 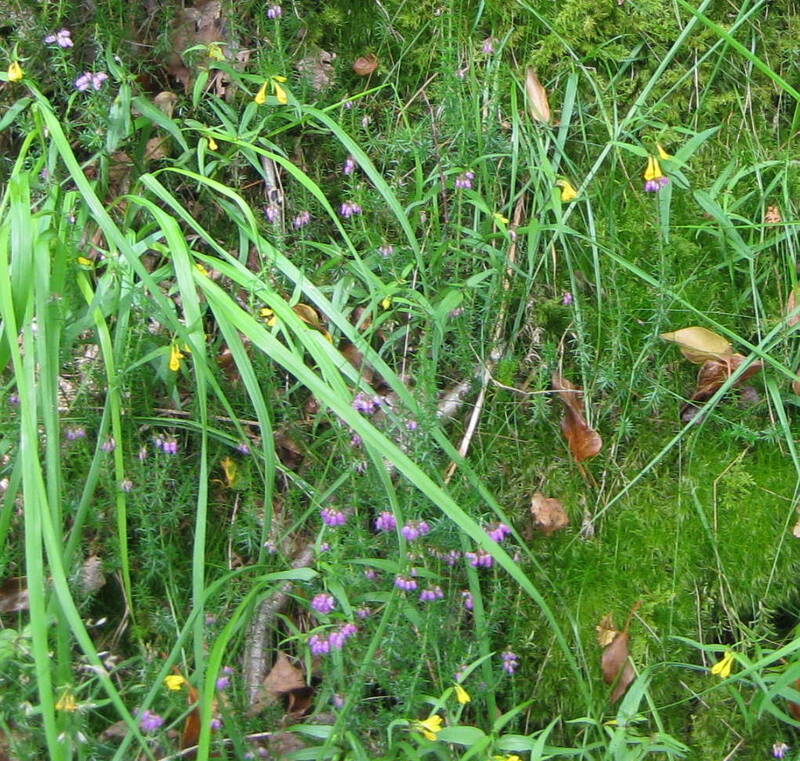 Wendy McCarthy led the lunchtime arrivals to the woods and picnic site at Farchynys with its saltmarsh fringes.. Recording began around the car-park, with species such as Vicia tetrasperma (Smooth Tare) and Primula veris (Cowslip) unlikely to be native. A splendid clump of Dryopteris aemula (Hay-scented Fern) was found in the woodland, a fertile, creeping Potentilla species was confirmed as P. anglica (Trailing Tormentil) and the pretty little Hypericum humifusum (Trailing St John’s-wort) grew under the trees. Out on the saltmarsh, several sedges included Carex distans, C.otrubae and C.extensa (Distant, False Fox- and Long-bracted Sedges) and Eleocharis uniglumis (Slender Spike-rush) was confirmed from its fertile upper glume. Other typical saltmarsh plants included Oenanthe lachenalii (Parsley Water-dropwort), Bolboschoenus maritimus (Sea Club-rush), Glaux maritima (Sea Milkwort) and the coastal subspecies of Curled Dock, Rumex crispus ssp. littoreus. The ‘strenuous’ group drove a long way on dirt roads through forestry plantation and then plodded through tough, clear-fell territory and up onto the ridge of Dduallt (662m) Some nice base-rich flushes produced records for Carex pulicaris (Flea Sedge) and Drosera rotundifolia (Round-leaved Sundew) withThymus polytrichus (Wild Thyme) nearby: Dryopteris oreades (Mountain Male-fern) and Phegopteris connectilis (Beech Fern) were found on the slopes and both Lycopodium clavatum (Stag’s-horn Clubmoss) and Huperzia selago (Fir Clubmoss) were there too. The large wetland to the east which looked so promising, proved to be surprisingly dry and unproductive, so old records for Carex magellanica (Tall Bog-sedge) were not updated. Orthilia secunda (Serrated Wintergreen), found here in 1961 by Derek Ratcliffe, was the starred target for the day, but as so many people have failed to refind it in the past it was no surprise that this group also failed. By suppertime all 16 residents had arrived and the noise level rose as the day’s records were discussed, experiences exchanged and material examined in the pleasant though rather crowded work space adjoining the dining room. The “classroom” would have provided more facilities and space, but is outside the main building, and is without Wi-Fi, which proved useful for synch-ing records via Mapmate direct to the VCR. 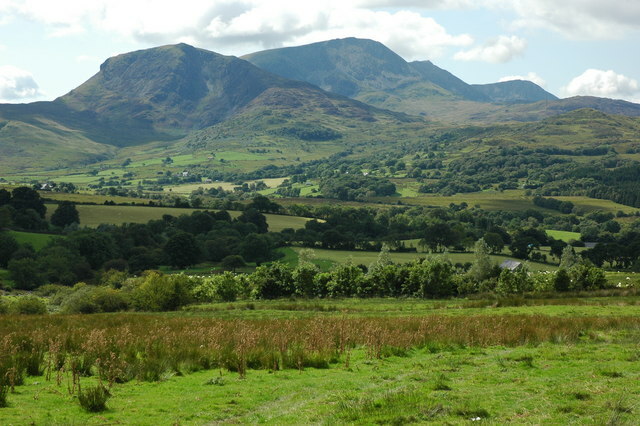 On Wednesday morning a group of eight went off to Coed Lletywalter, a Woodland Trust site, on the western flanks of the Rhinog mountains. This was dryer than most western Atlantic Oakwoods and the records were rather predictable, with Carex laevigata (Smooth-stalked Sedge), Festuca gigantea (Giant Fescue) and Bromopsis ramosa (Hairy Brome) some of the better finds. Just before leaving Heather found the ‘lake’, a disused reservoir which had been searched for but overlooked - although lunch had been eaten just a few metres away! That improved the total tally for the site, with Alisma plantago-aquatica (Water-plantain), Schoenoplectus lacustris (Common Club-rush), Lythrum salicifolia (Purple Loosestrife) and Veronica scutellata (Marsh Speedwell), growing in the derelict reservoir. As a ‘reward’ for a not-very exciting site, the group then drove to Cwm Nantcol by the mountain road (with its many gates - thank you, Jo!) 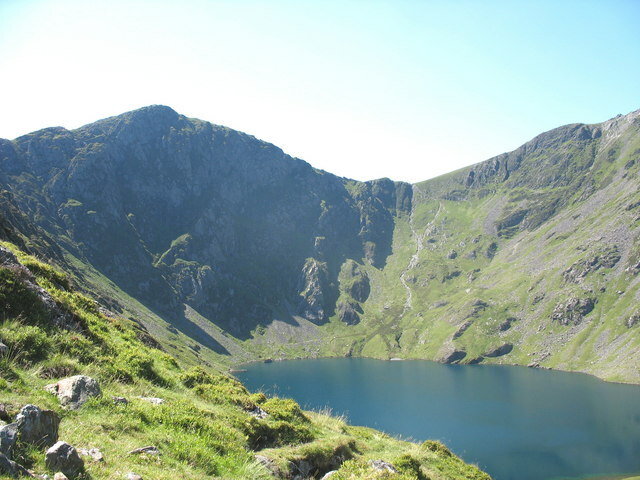 which gave new visitors to the county a taste of the dramatic scenery of the Rhinog mountains and the glittering expanse of Cardigan Bay to the west. 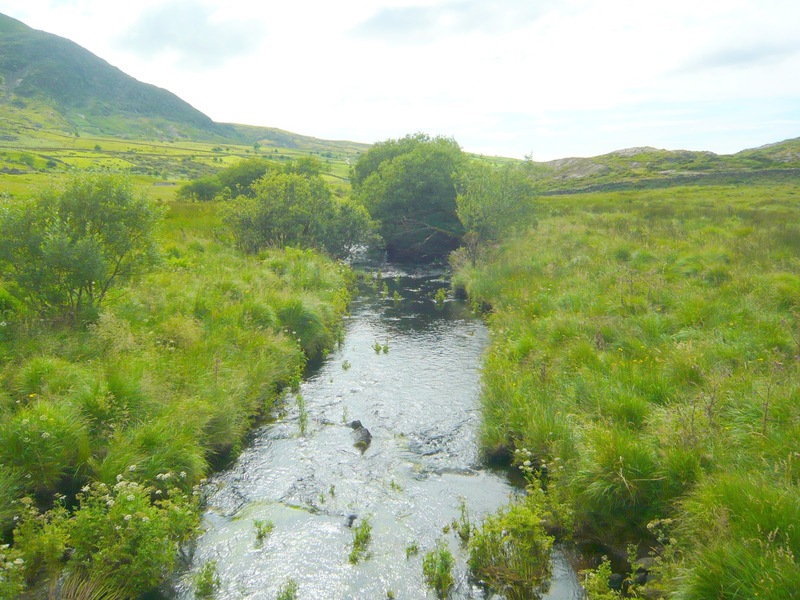 Pont Cerrig provided a different grassland flora and a pleasant assemblage of clear, fresh water plants including Littorella uniflora (Shoreweed), Callitriche brutia (Pedunculate Water-starwort) and Eleogiton fluitans (Floating Club-rush). Polly, Martin and Clare had a very good day around Cwm Crafnant, with a range of habitats leading to a very good species count (over 200) in one tetrad. 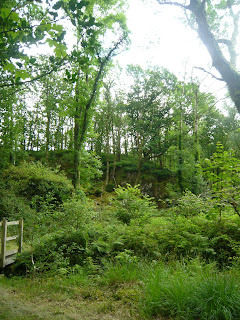 Beginning along the river, then through the Coed Crafnant Nature Reserve, they made their way beyond the tree line to open wet heath, then back to the other side of the valley across farmland to a small lake. Botanical highlights of the day included ferns in the woodland Phegopteris connectilis (Beech Fern) and Hymenophyllum wilsonii (Wilson’s Filmy-fern); wet heath areas with Rhynchospora alba (White Beak-sedge), Pinguicula vulgaris, (Common Butterwort) and Anagallis tenella (Bog Pimpernel); and the pond with Eleogiton fluitans (Floating Club-rush), Sparganium angustifolium (Floating Bur-reed) and Carex rostrata (Bottle Sedge). Returning along lanes there was a group of Euonymus europaeus, rather scarce in the county. Some oddities included burrs on both Ilex aquifolium (Holly) and Quercus petraea (Sessile Oak) and an oak tree with a single branch of holly growing from its centre! Andy and Wendy had the distinction of being the only group to be rained on all week. 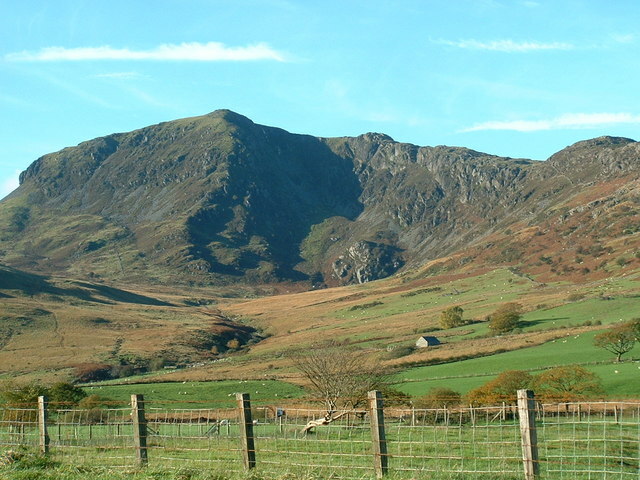 Mynydd Gwerngraig was targeted for an old  record of Meum athamanticum (Spignel) and for the assemblages of plants on the base-rich strata in Cwm Gau Graig. Although the fields nearby had previously been much over-grazed, there was still good heath-y pasture and base-rich seepages, with Rhynchospora alba (White Beak-sedge) Carex dioica (Dioecious Sedge) and Pinguicula vulgaris. Unfortunately, as on previous visits, the Meum was not re-found. 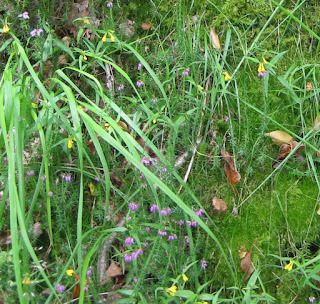 The brief thunderstorm relieved the steep climb up to the cwm where signs of base-enrichment were already visible in the lower boulder field, with frequent, Thymus polytrichus (Common Thyme), occasional Phegopteris connectilis (Beech Fern) and an area of Wahlenbergia hederacea (Ivy-leaved Bellflower). A dried-up Hymenophyllum wilsonii (Wilson's Filmy-fern) was found on the central outcrop and abundant Succisa pratensis (Devil's-bit Scabious) and rare Geum rivale (Water Avens) on the adjacent wet hillside. Ring Ouzels, Turdus torquatus, were heard and seen frequently amongst the fruiting Vaccinium myrtillus (Bilberry),. 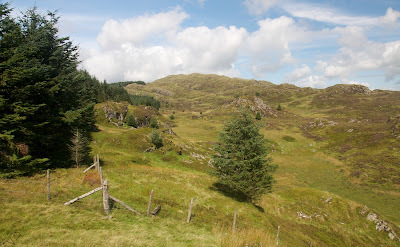 A few scattered Picea sitchensis (Sitka Spruce) and one lone Acer pseudoplatanus (Sycamore) were found on screes under the cliffs at the valley head at about 500m altitude with Cryptogramma crispa (Parsley Fern). Abundant grey-green Sedum rosea (Roseroot) picked out the base-rich cliffs from a distance, with other notable species, Hieracium sparsifolium (Sparse-leaved Hawkweed), Selaginella selaginoides (Lesser Club-moss) and Thalictrum minus (Lesser Meadow-rue). 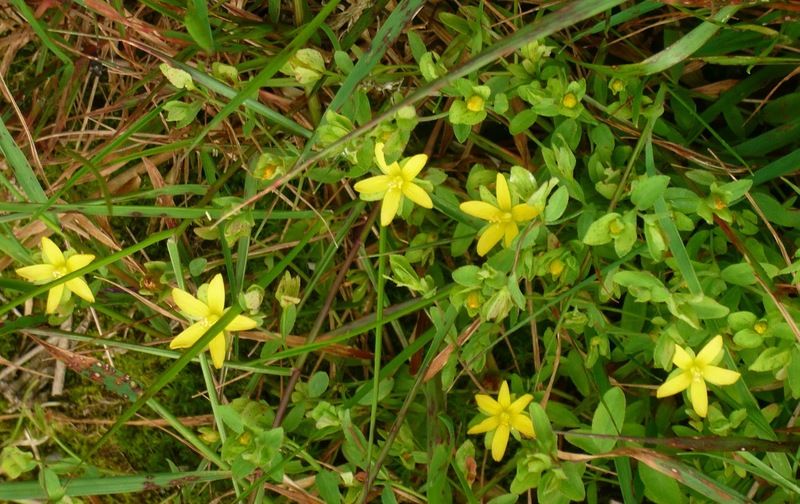 A single plant of Galium verum (Lady's Bedstraw) was found on a ledge – this base-rich indicator species had been first recorded there by E. Price-Evans, 80 years before. 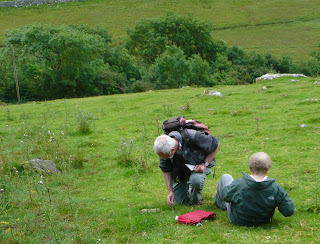 Rod’s group took the very steep path to Cwm Cau, Cader Idris from Minffordd, past planted species like Amelanchier lamarckii (Juneberry) and Castanea sativa (Sweet Chestnut), through Quercus petraea (Sessile Oak) woodland where species such as Lathyrus linifolius (Bitter Vetch)and Circaea lutetiana (Enchanter’s-nightshade) grew. 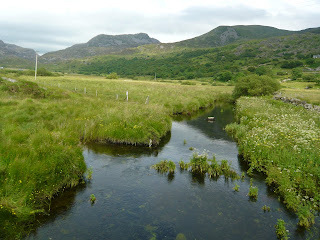 As the way opened out into montane heath, Ericas (Bell Heather and Cross-leaved Heath), Empetrum nigrum (Crowberry), Eleocharis multicaulis (Many-stalked Spike-rush) and Euphrasia scottica (an Eyebright) were found, and the group arrived at Llyn Cau, an ideal picnic spot, just under 500m. After lunch the anticlockwise path was taken round the lake, through increasingly base-rich grassland and flushes with Dryopteris carthusiana, (Narrow Buckler-fern) Carex caryophyllea (Spring Sedge) C. hostiana (Tawny Sedge), C. pulicaris (Flea Sedge) and Pinguicula vulgare (Common Butterwort), to the steep cliffs above. Several exciting scrambles up rocky gullies brought rich chasmophytic and tall herb ledge plant records which included Crepis paludosa (Marsh Hawk’s-beard) Sedum rosea (Roseroot) and Thalictrum minus (Lesser Meadow-rue) with Leucanthemum vulgare (Oxeye Daisy) and Solidago virgaurea (Goldenrod). 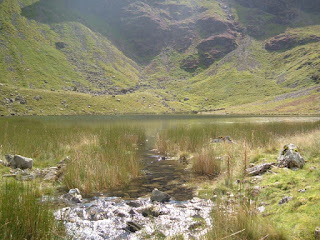 The group returned back round the lake and down through the wood with its steps made for giants! 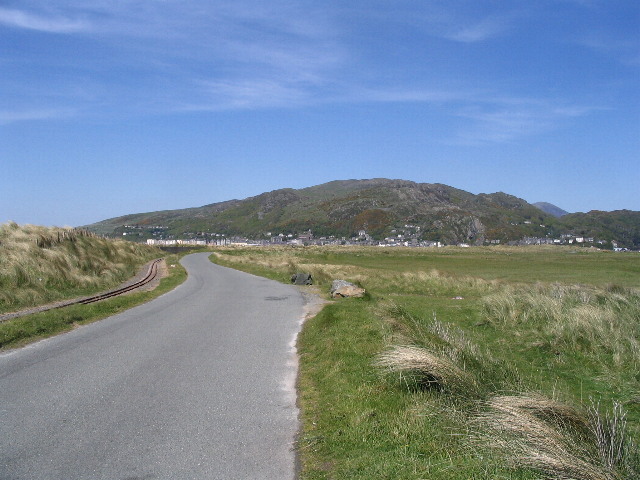 A long drive through the lanes around Llanfachreth eventually brought the ‘easy’ group to Cwm yr Allt Llwyd in the upper reaches of the Mawddach, not far from the start of the first day’s epic trip to Dduallt. After picking off the ‘weedy’ records from around the abandoned farmhouse, the first target was the grassy slope to the south, with its swathes of Dactylorhiza maculata (Heath Spotted-orchid), and some flushing, but the area was very acid and its species typical of semi-improved grassland. Setting off again, this time to the north, the group traversed a swampy valley, also very acid, with Pedicularis sylvatica (Lousewort) and Carex panicea (Carnation Sedge) –the best finds there being Carex canescens (White Sedge) and Veronica scutellata (Marsh Speedwell) which are always good to see. After lunch, taken in the lee of a strangely irrelevant windbreak plantation, Martin went off to explore the possibilities in some interesting gullies while Polly and Sarah set off towards the bwlch, which apart from some Thymus polytrichus (Common Thyme) and Carex hostiana (Tawny Sedge) held little that was remarkable. However spirits were raised by Martin’s excellent finds, which included Geum rivale, (Water Avens) Dryopteris oreades (Mountain Male-fern), Jasione montana, (Sheeps-bit), and Sedum forsterianum (Rock Stonecrop), a new hectad record and doubtless the best find of the day. 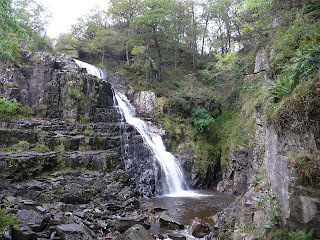 Wendy’s group went up the river to Pistyll Cain where Crepis paludosa was found with Polystichum aculeatum, Hard shield-fern, Phyllitis scolopendrium, Hart’s-tongue, and Phegopteris connectilis, Beech Fern around the waterfall. The whole area round the roads and paths is managed by the Forestry Commission and there were planted broad-leaved trees such as Castanea sativa (Sweet Chestnut) and Hornbeam Carpinus betula with the inevitable Picea sitchensis (Sitka Spruce) Larix x marschlinsii (a hybrid Larch) and Pseudotsuga menziesii (Douglas Fir). Above the disused gold mine at Gwyn-fynydd was Hypericum hircinum (Stinking Tutsan) Equisetum telmateia (Great Horsetail) and possibly its hybrid Equisetum x font-queri with E palustre (Marsh Horsetail) (yet to be confirmed). Lower downstream was a large patch of coppiced Tilia cordata. (Small-leaved Lime). Best find of the day was Gymnocarpium dryopteris (Oak fern) by the side of the main road. Although it wasn’t actually raining, Rod’s group hiked through mist to Cwm Aran over tussocky heath and wet grassland, through Festuca ovina (Sheep’s Fescue), Deschampsia flexuosa (Wavy Hair-grass),Succisa pratensis (Devil’s-bit Scabious) and Trichophorum germanicum (Deergrass) with occasional Thymus polytrichus (Common Thyme) to the foot of the imposing cliffs above tiny Llyn Aran. In the lake, Sparganium angustifolium (Floating Burr-reed), Littorella uniflora (Shoreweed) and Lobelia dortmanna (Water Lobelia) were recorded. Intrepid sorties into base-rich gullies and screes, where the moss cover always threatened to peel away, brought good records for Sedum rosea, Asplenium viride, Oxyria digyna and, on the tall herb ledges, Selaginella selaginoides, Leucanthemum vulgare and Solidago virgaurea. It felt as if these cliffs had been untouched since the last ice age: there are records from the recent past for Saxifraga oppositifolia (Purple Saxifrage) and Silene acaulis (Moss Campion) which would make another visit to this very special place well worthwhile. The last day’s excursions were planned to be within easy reach of routes home and Jacky, Richard and Polly visited Pant y Panel, the most conveniently located, north west of Dolgellau. This SSSI was originally designated as an unimproved grassland/meadow site, and it was optimistically hoped to monitor Platanthera bifolia and P. chlorantha, as well as possibly Pseudorchis albida (although perhaps slightly late for that). However as they were forewarned that the site condition had declined in recent years it was no surprise that the only orchids were just a few Dactylorhiza fuchsii and D. maculata (Common and Heath Spotted-orchids). Despite the lack of spectacular plants, a good list for semi-improved grassland was made, and plenty of time was spent debating whether hybrid rushes (Juncus inflexus x effusus = J.x diffusus or J. effusus x conglomeratus = J.x kern-reichgeltii) had been found. The challenge remains to determine these another day. 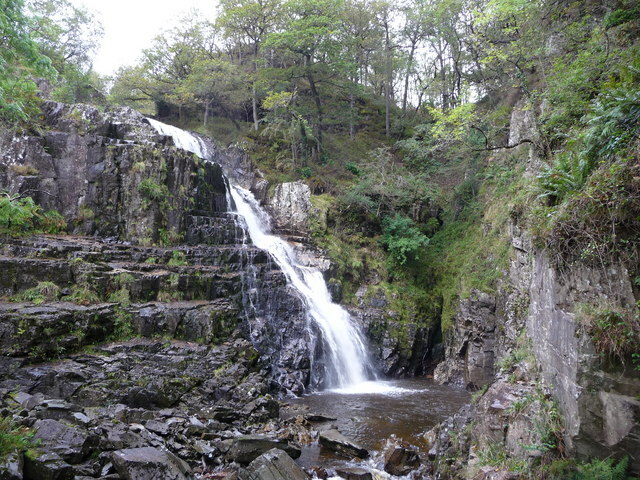 Sarah, Martin and Clare visited Nant-y-Gwyrddail where calcicoles had previously been reported. The bog alongside the stream attracted their attention first with a rich fenny flora included Galium uliginosum and at least ten Carices, including C hostiana (Tawny Sedge) and a putative C distans (Distant Sedge) which awaits re-confirmation. The Fraxinus excelsior (Ash) woodland was next where Martin struggled through the dense vegetation to find, Euonymus europaeus (Spindle) Melica uniflora (Wood Melick) and Mercurialis perennis (Dog’s Mercury)., The delightful field below was awash with a wonderful spread of Jasione montana, (Sheep’s-bit),Thymus polytrichus (Common Thyme) and Euphrasia species (Eyebrights) with a rich flush running through it with Pedicularis sylvatica (Lousewort), many sedges as before, Ajuga repens (Bugle) and Triglochin palustris ( Marsh Arrowgrass) as they reluctantly returned to the road. Graeme, Priscilla, Heather and Andy investigated the area around Llynnau Cregennen, skirting roadsides and some semi-improved grazing around the two lakes with extensive areas of wet and dry heaths and bog pools to the north and east. The submerged aquatic vegetation in the two lakes was particularly interesting and differed notably from the more usual oligotrophic upland lakes, with only scattered Littorella uniflora (Shoreweed) and Lobelia dortmanna (Water Lobelia), no Callitriche hamulata (Narrow-leaved Water-starwort) or Potamogeton polygonifolius (Bog Pondweed) and, instead, large amounts of detached Potamogeton perfoliatus (Perfoliate Pondweed) and P. praelongus (Long-stalked Pondweed) washed up on the shore with Isoetes lacustris (Quillwort). P. perfoliatus is uncommon in Wales and P. praelongus is very rare. Other pondweed and stonewort specimens (especially from near the inlet of the southern lake) have been sent off for expert determination. Away from the lake shore the acidic bog pools supported both Nymphaea alba (White Water-lily) and Drosera intermedia (Intermediate Sundew), but there were also surprisingly base-rich rock outcrops, e.g. with Thymus polytrichus (Common Thyme), nearer the lake with a corresponding influence on the lake water chemistry. After a very absorbing splodge through species-rich wetlands near Cregennen Lakes, with Triglochin palustre (Marsh Arrowgrass) and Utricularia minor (Lesser Bladderwort) at last, Rod’s group forged its way steeply up Tyrrau Mawr on Cader Idris’ northern flank, to search for more elusive gully vegetation. A good stiff pull brought the party out below the main gullies where there were again rewarded by some nice base-rich ledges with Solidago virgaurea (Goldenrod) and Succisa pratensis (Devil’s-bit Scabious). Carex flacca, C hostiana and C pulicaris (Glaucous, Tawny and Flea Sedges) were there with Thymus polytrichus also indicating a higher pH. Montane species included Dryopteris oreades (Mountain Male-fern) and Diphasiastrum alpinum, (Alpine Clubmoss), another good update. Steeply back down to the car park to regroup with the others. 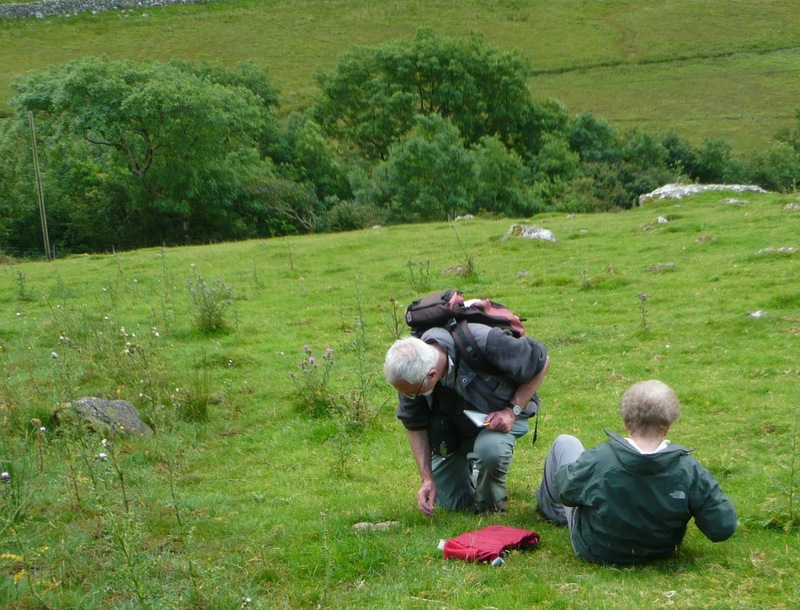 A grand four days which produced over 3000 records in under-recorded squares, and provided an opportunity for botanists from outside the county to join us in Merioneth. Thanks are due to all who came to Caerdeon, resident and non-resident, and worked so hard every day – and each evening - producing recording cards and Mapmate synchs. Thanks also to Graham and Lei and all the staff at Caerdeon for their welcome and helpfulness, and to all the landowners who so freely gave permission for us to record on their land.